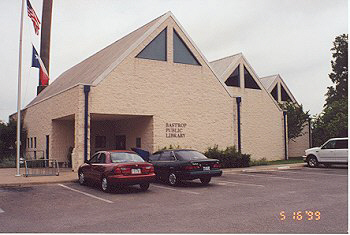 The Bastrop Public Library is located at 1100 Church Street. The phone number is 512/321-5441. Internet Access Computers are available. There are 25,000 volumes including audio/visual materials. There is an Interactive Library Loan Program available. Th: 1 p.m. - 9 p.m.
View of the Bastrop Public Library. View of the Children’s Corner. 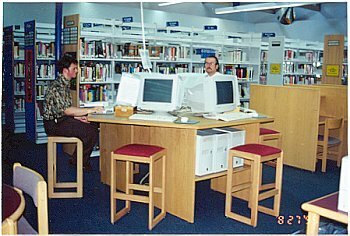 The Computer Section with Internet Service. 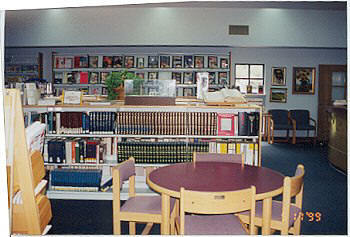 View of reference and magazine section. 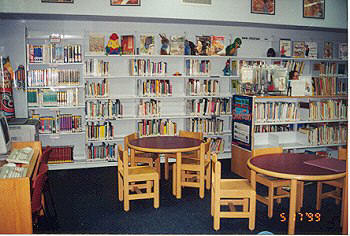 View additional pictures of the Bastrop Public Library.